A new book about the first 50 years of Gaelic Athletic Association activity in County Kerry has come to my attention thanks to a review on the History Ireland website. 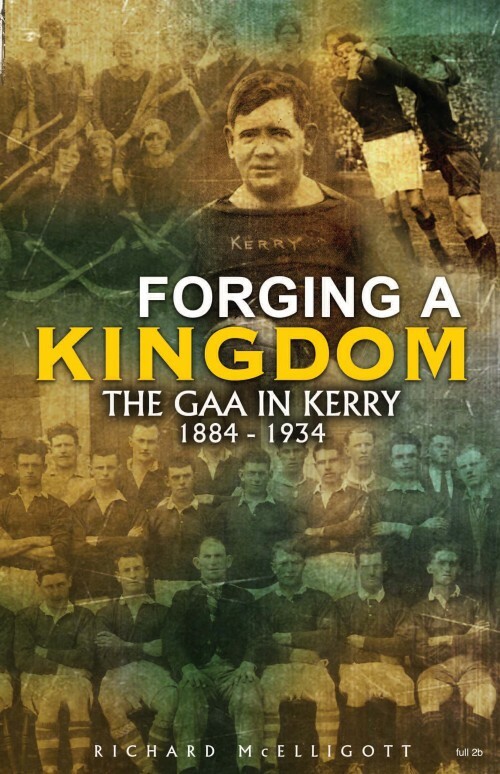 “Forging a Kingdom: The GAA in Kerry 1884-1934” by Richard McElligott was published last fall by The Collins Press. Here’s a NewsTalk podcast with McElligott. The GAA (@officialgaa) has a history section on its official website. This link is to the Kerry GAA site, which also can be followed on Twitter @Kerry_Official. This entry was posted in History, Politics, Sport and tagged County Kerry, GAA, Land War on February 11, 2014 by admin. Many thanks for spreading the word about my book Mark. It is due to be released in North America soon, via the Collins Press American distributor.